Phaistos Disk, side A. Heraklion Archaeological Museum. 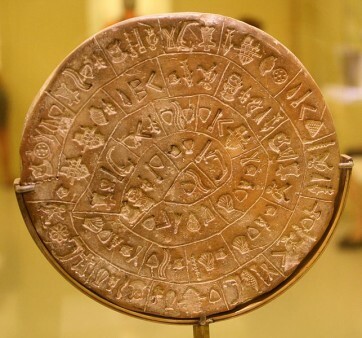 According to Gareth Owens, linguist, archaeologist and coordinator of the program Erasmus of Crete Technological Institute the key figure to solve the mystery of the Phaistos Disk is the Minoan Astarte, the goddess of love, war and the mountains, whose origin lies in the east. Compared to what he claimed a year ago, Gareth Owens’ theory has slightly changed: It is not a “pregnant mother” but a “pregnant goddess takes shape in the face of Astarte. Owens believes that one side of the Phaistos Disk is dedicated to the pregnant mother goddess and the other to the Minoan goddess Astarte. “From ancient Mesopotamia, located in today’s Turkey, Astarte went to Cyprus and became Venus,” he said. 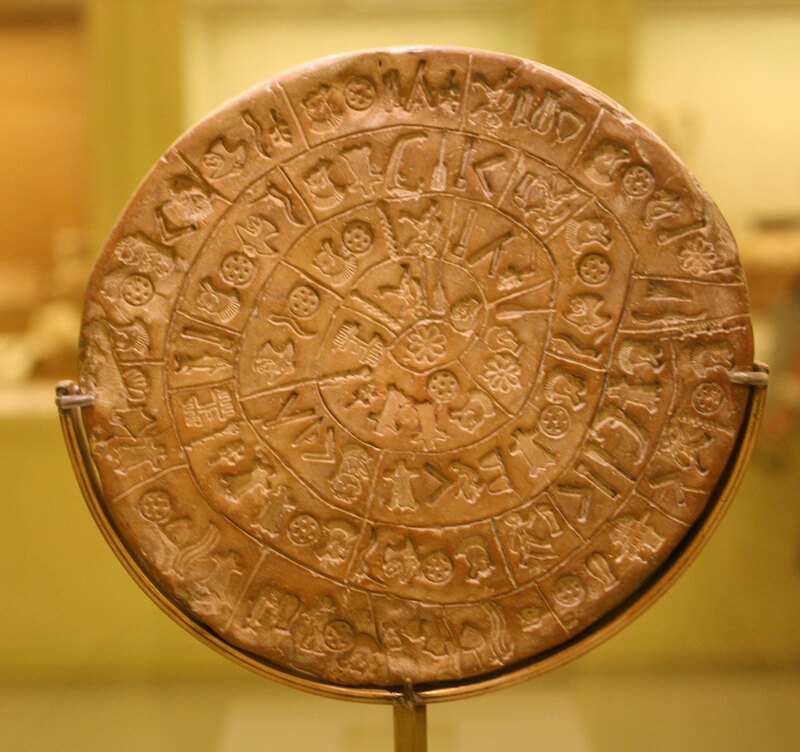 “The Phaistos Disk is the best-known Minoan inscription. It is commonly accepted that it can be read spirally, i.e., from the rim inwards. 16 cm in diameter, the disk’s two sides bear a total of 242 signs which can be divided into 61 groups” reads the text about the disk in the site of the Crete Technological Institute, and continues: “There are 45 different signs on the Disk, too many for them to constitute an alphabet and too few for them to constitute a truly ideographic script, as is the case with Chinese. This observation enables us to deduce that it is also a syllabic script, as are both Linear B and Linear A.